This is part 26 of Categories for Programmers. Previously: Algebras for Monads. See the Table of Contents. 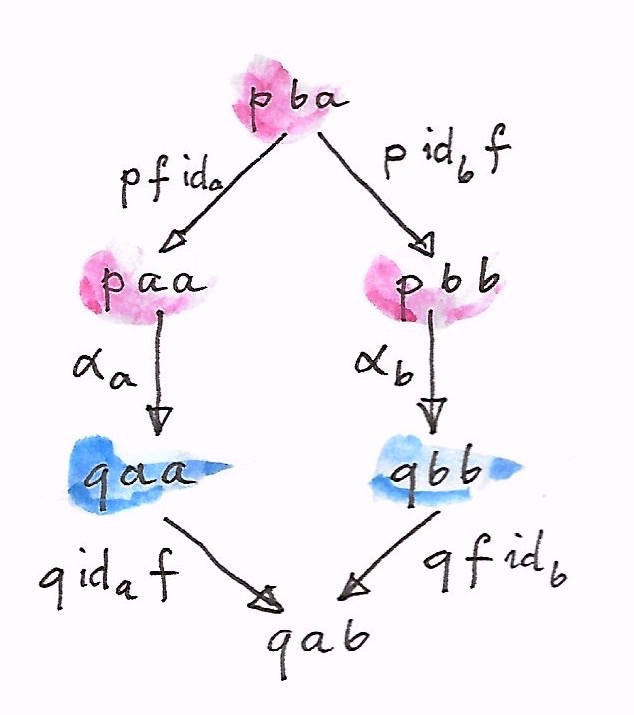 You may think of a profunctor as a proof-relevant relation between objects of C and objects of D, where the elements of the set symbolize proofs of the relation. Whenever p a b is empty, there is no relation between a and b. Keep in mind that relations don’t have to be symmetric. Another useful intuition is the generalization of the idea that an endofunctor is a container. A profunctor value of the type p a b could then be considered a container of bs that are keyed by elements of type a. In particular, an element of the hom-profunctor is a function from a to b. 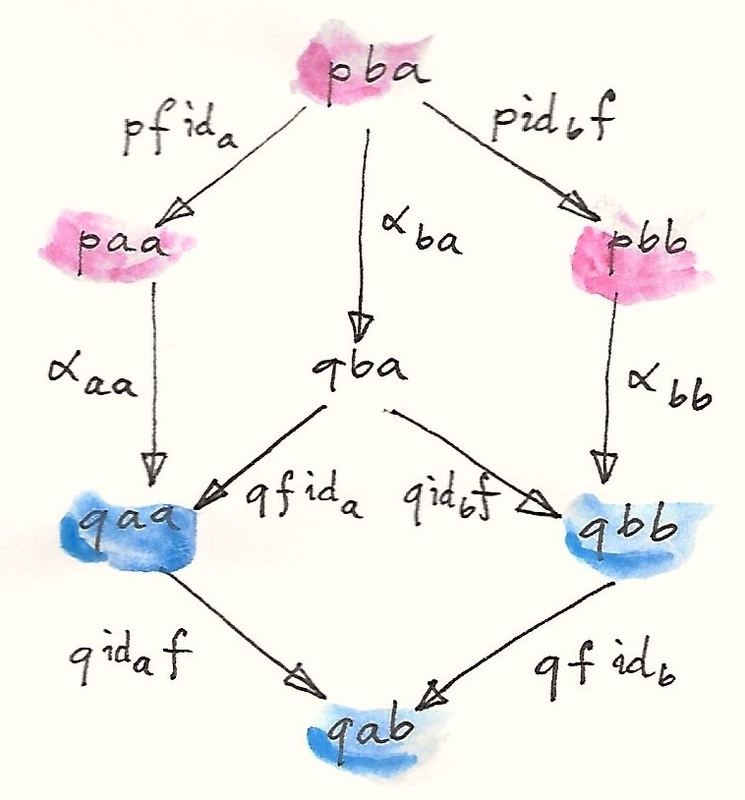 The functoriality of the profunctor tells us that if we have a proof that a is related to b, then we get the proof that c is related to d, as long as there is a morphism from c to a and another from b to d. Or, we can think of the first function as translating new keys to the old keys, and the second function as modifying the contents of the container. Notice that a component of a natural transformation α in [Cop × C, Set] is indexed by a pair of objects α a b. A dinatural transformation, on the other hand, is indexed by one object, since it only maps diagonal elements of the respective profunctors. We are now ready to advance from “algebra” to what could be considered the “calculus” of category theory. The calculus of ends (and coends) borrows ideas and even some notation from traditional calculus. In particular, the coend may be understood as an infinite sum or an integral, whereas the end is similar to an infinite product. There is even something that resembles the Dirac delta function. Note that if C is a discrete category (no morphisms other than the identities) the end is just a global product of all diagonal entries of p across the whole category C. Later I’ll show you that, in the more general case, there is a relationship between the end and this product through an equalizer. Here, type inference automatically picks the right component of e.
Just as we were able to express the whole set of commutation conditions for a cone as one natural transformation, likewise we can group all the wedge conditions into one dinatural transformation. 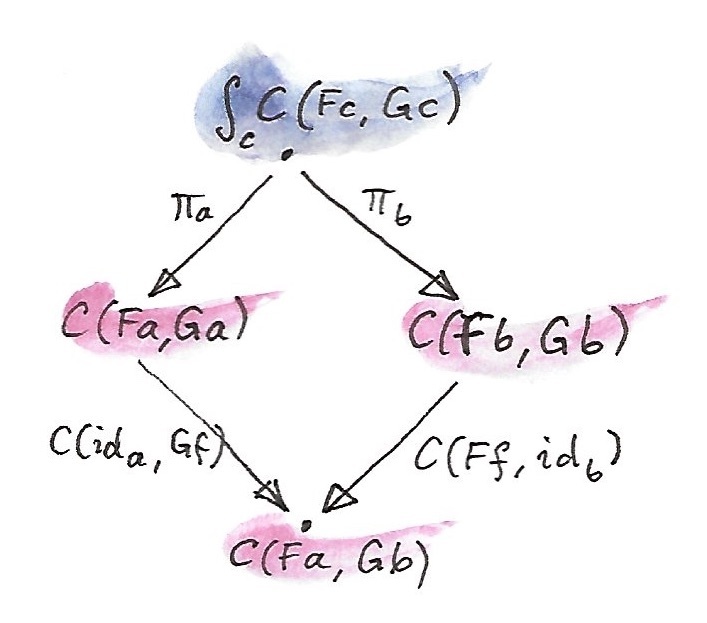 For that we need the generalization of the constant functor Δc to a constant profunctor that maps all pairs of objects to a single object c, and all pairs of morphisms to the identity morphism for this object. A wedge is a dinatural transformation from that functor to the profunctor p. Indeed, the dinaturality hexagon shrinks down to the wedge diamond when we realize that Δc lifts all morphisms to one identity function. Ends can also be defined for target categories other than Set, but here we’ll only consider Set-valued profunctors and their ends. The end of p is the equalizer of these two functions. Remember that the equalizer picks the largest subset on which two functions are equal. In this case it picks the subset of the product of all diagonal elements for which the wedge diagrams commute. Their equality, demanded by the wedge condition, is nothing but the naturality condition for τ. As expected, the dual to an end is called a coend. It is constructed from a dual to a wedge called a cowedge (pronounced co-wedge, not cow-edge). Just like the end is related to a product, the coend is related to a coproduct, or a sum (in this respect, it resembles an integral, which is a limit of a sum). 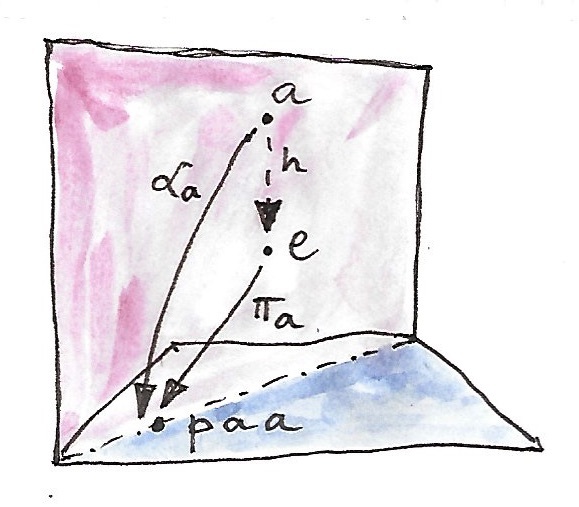 Rather than having projections, we have injections going from the diagonal elements of the profunctor down to the coend. 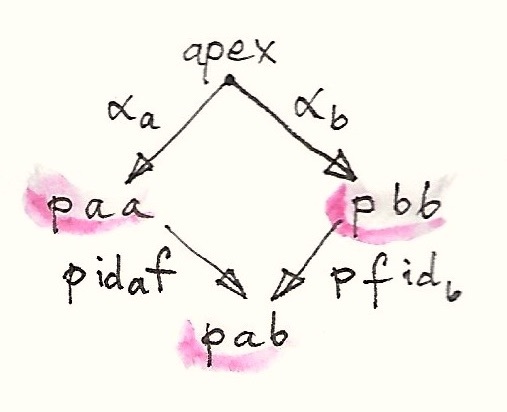 If it weren’t for the cowedge conditions, we could say that the coend of the profunctor p is either p a a, or p b b, or p c c, and so on. Or we could say that there exists such an a for which the coend is just the set p a a. The universal quantifier that we used in the definition of the end turns into an existential quantifier for the coend. The logic behind this is that it should be possible to construct a coend using a value of any of the family of types p a a, no matter what a we chose. The coequalizer of these two functions is the coend. A coequilizer is obtained from DiagSum p by identifying values that are obtained by applying lambda or rho to the same argument. Here, the argument is a pair consisting of a function b->a and an element of p a b. The application of lambda and rho produces two potentially different values of the type DiagSum p. In the coend, these two values are identified, making the cowedge condition automatically satisfied. It’s easy to check that this is an equivalence relation. A pair (a, b) is interpreted as a fraction a/b, and fractions whose numerator and denominator have a common divisor are identified. A rational number is an equivalence class of such fractions. It tells us that a function that takes an existential type is equivalent to a polymorphic function. This makes perfect sense, because such a function must be prepared to handle any one of the types that may be encoded in the existential type. It’s the same principle that tells us that a function that accepts a sum type must be implemented as a case statement, with a tuple of handlers, one for every type present in the sum. Here, the sum type is replaced by a coend, and a family of handlers becomes an end, or a polymorphic function. This identity is strongly reminiscent of the formula for the Dirac delta function (a function δ(a - z), or rather a distribution, that has an infinite peak at a = z). Here, the hom-functor plays the role of the delta function. Together these two identities are sometimes called the Ninja Yoneda lemma. The unit of so defined composition is the hom-functor — this immediately follows from the Ninja Yoneda lemma. It makes sense, therefore, to ask the question if there is a category in which profunctors serve as morphisms. The answer is positive, with the caveat that both associativity and identity laws for profunctor composition hold only up to natural isomorphism. Such a category, where laws are valid up to isomorphism, is called a bicategory (which is more general than a 2-category). So we have a bicategory Prof, in which objects are categories, morphisms are profunctors, and morphisms between morphisms (a.k.a., two-cells) are natural transformations. In fact, one can go even further, because beside profunctors, we also have regular functors as morphisms between categories. A category which has two types of morphisms is called a double category. Profunctors play an important role in the Haskell lens library and in the arrow library. 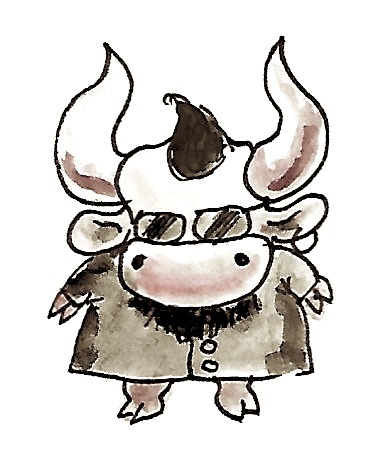 Write explicitly the cowedge condition for a coend. Why do mathematicians invert the arrow from C to D when, intuitively, the relation goes from D to C? It’s not really clear what formula is implied here and why it translates to… this? What is this even? A data type? I am utterly confused. So then End (NatPro  Maybe) is a collection of images of π morphisms? And for each one of those, we have a π: apex -> p a a, but what type would be the apex then? And how would the π morphism itself look? Notice that safeHeadInt is no longer a polymorphic function. You can’t call it with a list of Char. ∫^z C(a, z) × F z, it doesn’t seem to me like C(a, -) × F is a profunctor. Is F a covariant functor in ∫_z Set(C(a, z), F z) ≅ F a and a contravariant functor in ∫^z C(a, z) × F z ≅ F a? You’re right. There are two versions of the Ninja Yoneda lemma, one for covariant and one for contravariant functors. The one I used is for contravariant functors, and indeed cF z is contravariant in z (as long as F is covariant). I’ll add explanation to this post. Thanks for catching it. In youtube video series “end and coends” is the last thing you explain. Do you maybe recommend to skip this chapter till the end of the book? No, I wouldn’t recommend skipping it. In the book, I use coends in making connection between Lawvere theories and monads. In the definition of end as universal wedge you call other wedge’s apex as “a”. Is it same “a” as in p a a (target of πa and αa in the picture)? Or i can rename it to e’ and not change p a a? Oops, this is just an accident. It shouldn’t be the same a. Few trivial comments for clarity. “These functions have different types.” – last functions mentioned in text are of type ProdP but it’s not about them. “Their equality, demanded by the wedge condition” – in the sense they both end up in same element of C(Fa, Gb); so being applied on some Fa both give same Gb (naturality square comutes). “fractions that have a common divisor are identified” – what means “identified”? 1/3 and 2/3 have common divisor but are not equivalent; representatives may have same divisor; or maybe it should be “fractions that have a common ratio” (as 1/2 and 2/4)?